Teen disco bosses will have to wait until a new assembly has been elected before any changes to the law over holding them in licensed premises. The issue with hosting under 18s in nightclubs, when alcohol was not available, came to the fore when two Cookstown clubs were convicted. Now, hopes that the Department for Social Development [DSD] would bring forward amendments to the Liquor Licensing Bill this term have been dashed. 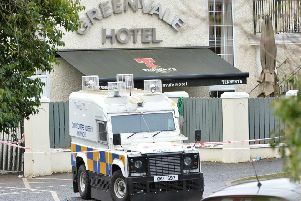 Both the Glenavon House Hotel and Clubland were landed with huge fines over events they put on for years. But since their conviction, and failed appeal, the Elk in Toome has been holding teenage events. Now it too is facing the weight of what manager Diarmuid Dallat, has dubbed “outdated law”. And although admitting the club broke it when it held two teenage discos in December, he said the decision was taken over the safety of young customers. “Regardless of an outdated law... safety was always paramount,” he said. “So, with a change in law being expected, we have decided to hold this event [Feb 26] in a marquee. But this may take longer than expected, as a spokesperson for DSD said: “The department intended to bring forward a Liquor Licensing Amendment Bill during the current assembly mandate. “Unfortunately, due to competing priorities, such as Welfare Reform and the Housing Bills, the current Minister, Lord Morrow MLA, no longer has time to progress a Bill in the current mandate.